If you’re an Oreo fan, this news may be more exciting than twisting open an Oreo cookie and dunking the creamy half in milk. Amazon has recently added a new “OREO Cookie Club Subscription Box, OREO of the Month Gift.” That’s exactly what it sounds like: a special Oreo gift box sent directly to your door on a monthly basis. So what’s in one of these crazy Oreo gift boxes? 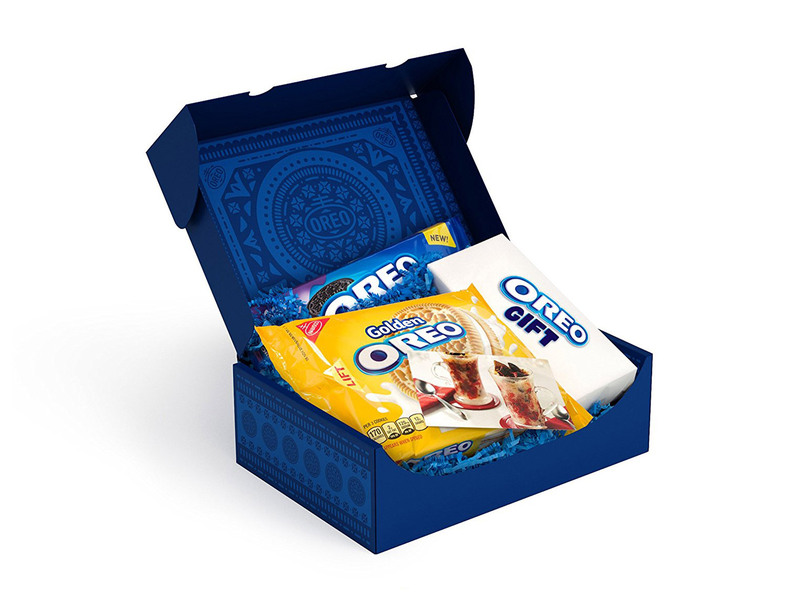 According to the product description, each one will contain “two OREO flavors, a one-of-a-kind OREO inspired gift, and recipe card, all in an artistically designed OREO gifting box.” The specifics beyond that are a bit vague. As far as flavors are concerned, “Each month you’ll enjoy new OREO product innovations, or tried and true favorites” – so essentially, uh, anything really! And the snacks can be either “cookies or chocolate candy.” So yes, this box truly will be a surprise. Meanwhile, Brand Eating suggests that examples of the Oreo-inspired gift include hats, games and mugs. Essentially, if you really like Oreos – and maybe have nothing against a little roulette – these boxes should make for at least an interesting monthly mystery. However, adding a bit of monthly Oreo fun into your life isn’t cheap. Subscriptions come in 3-, 6- and 12-month options, and all three come out to $19.99 per month with no price break for longer commitments. Seeing as Amazon only charges about $3 for most packs of Oreos, you’re essentially left with a $14 charge for whatever else comes in the box. That’s not necessarily a bad price for a hat, but is maybe a bit much for a mug. Of course, the price also includes intangibles like the chance to potentially try new Oreo creations before anyone else – or maybe you’ve been dreaming of starting an artistically-designed Oreo box collection? Overall, this Oreo club seems like it could be fun, but only you know if you love Oreos enough to make that the case.